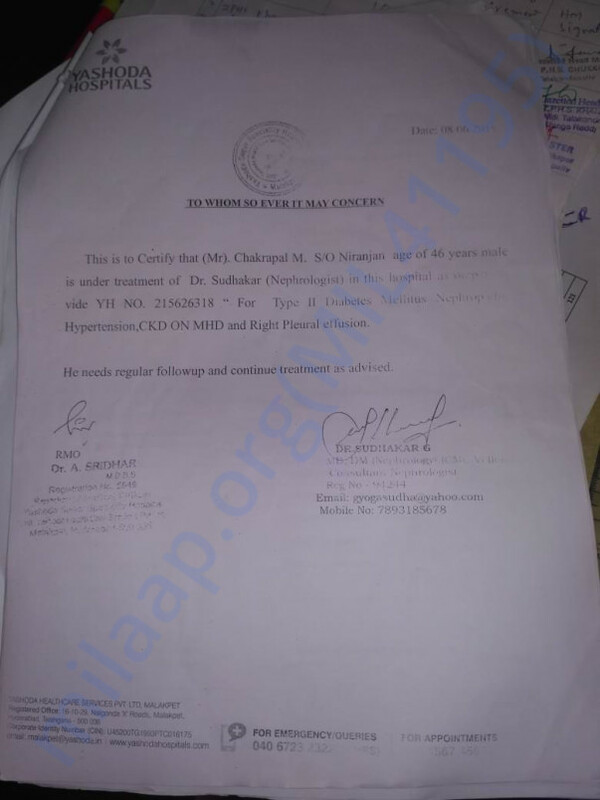 Save this teacher Chakrapal Sir ,Suffering From Kidney Failure. My dad Chakrapal is a Maths Teacher in a remote village in Telangana, India. 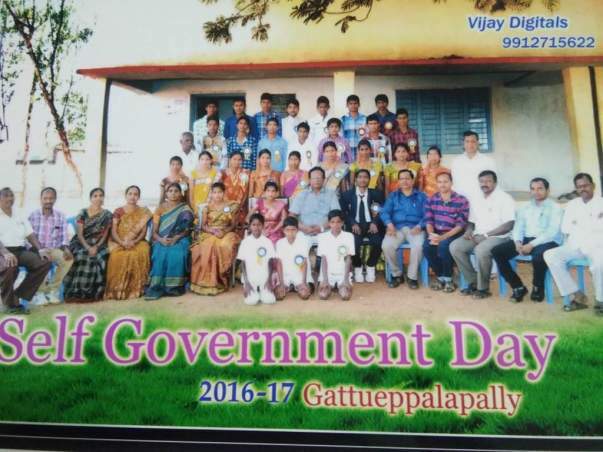 He is a teacher where every student liked to attend his class and he lived all his teacher life among the students dreaming about his students future.He spent more time with students than with us.He moved our family close to the school where ever he was posted. He was a role model for all other teachers in Discipline and knowledge he shares.He has no bad habits and he was a very soft spoken and down to earth. We were small and happy family with Me persuing my Bacherlors in Technology 2nd year,my dad a school teacher, my home making Mom and my Younger brother who is in 12th grade. we were really happy untill one day all of sudden my dad had a small injury to his leg when working at home ,it was small but it did not cure. Instead it became worse and when diagnosed my dad had extremely high Blood Sugar and High Blood pressure. 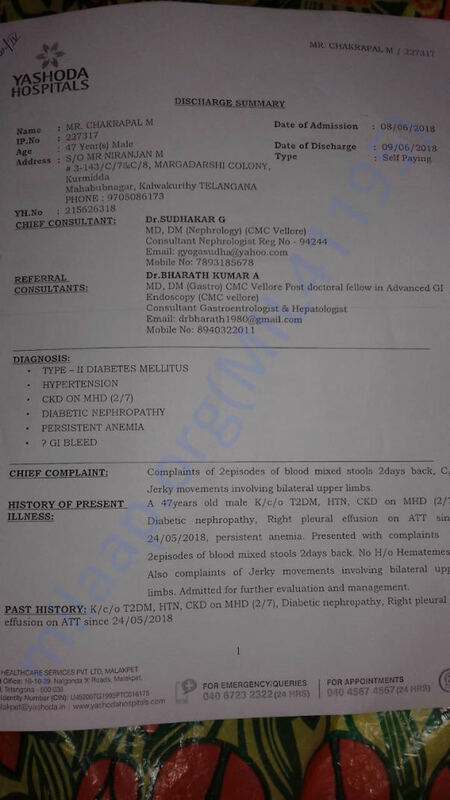 With in days he fell sick and he was Diagnosed with Renal Failue and severe Lung Infection.Being a government teacher he didnot have any private insurance and his health cards given by government did not work. 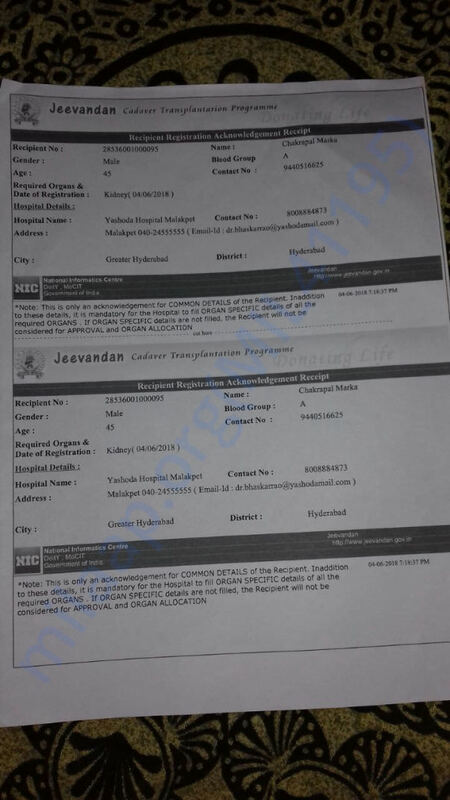 Till now my family incurred 10 Lakh Indian rupees to get his treatment and now he needs 10 Lakhs more for Kidney Transplantation and further medicine. 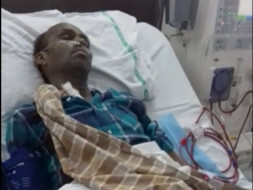 my Mom is ready to donate her kidneys and make him normal but my family desperately needs funds to do the transplantation. Please save this teacher by your generous donations so that he can give back more responsible citizens to this society. My Father is Slowly recovering and is on continuous Dialysis. He has improved than earlier. Will keep you posted. My father is still undergoing regular dialysis and is responding well. He is trying to attend the school. 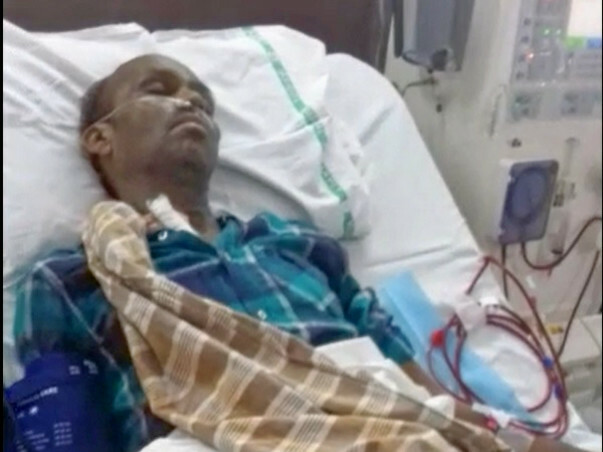 But still, we need to transplant the kidneys as this dialysis is a temporary measure to save him. We are really grateful and thankful to all those who are supporting us. Please keep sharing this campaign to help my father. I would like to call out Hemanth Reddy Pathireddy for sending me link for the donation.